*6.5cm of fresh snow has fallen since yesterday morning and at 7:00am today the temperature was -1°c. Niseko amazes again – it dumped yesterday late afternoon and into the evening and it is snowing right now. This morning we are heading to our local ski ground Hirafu Ski Ground and we are going to smash it! 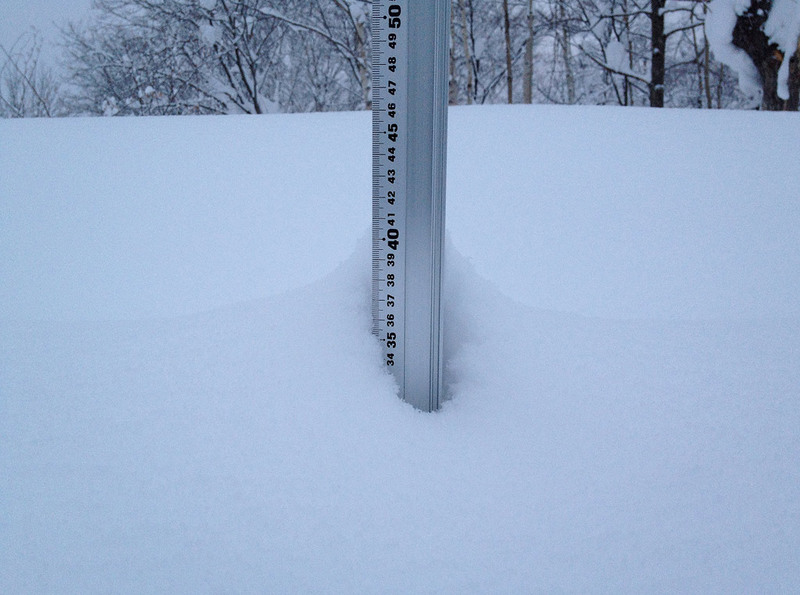 The 360niseko team is now on “holidays” as of the 31 March but we are still taking snowfall measurements and will be publishing abbreviated snow reports when we feel it necessary and today is one of those days – check it out. Will post some riding / skiing pics later today – YEW !